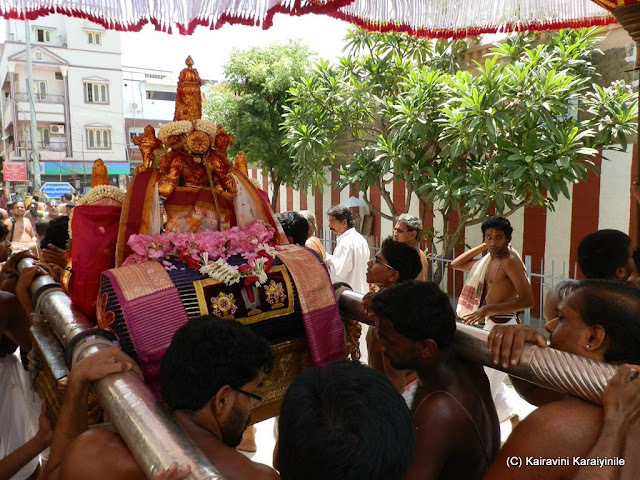 This year, theerthavari fell on Saturday, 4th July 2015 and hence the fortune of darshan during ‘Porvai kalaithal’ and theerthavari. 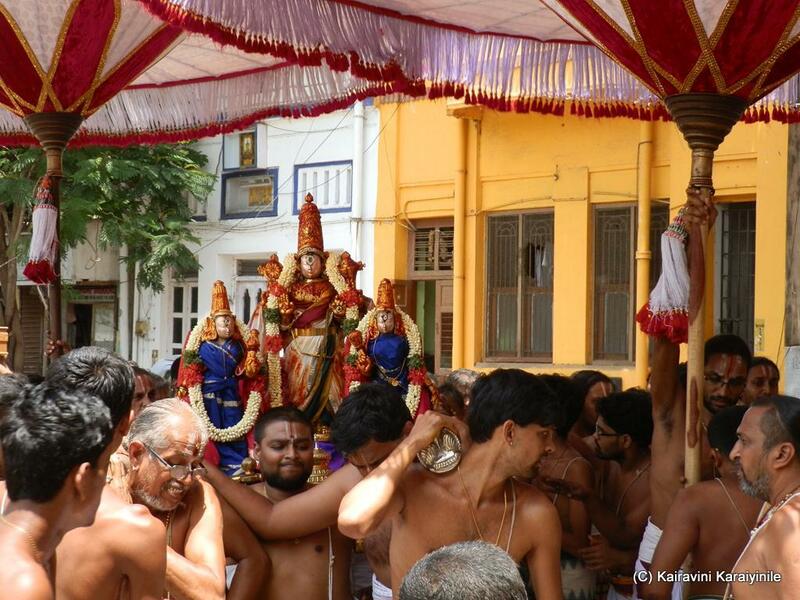 Sri Thelliya Singar had purappadu to Thiruvadi Kovil at East Tank square street and had ekantha Thirumanjanam. In most divyadesams, theerthavari would take place in the holy pond when Chakkarathazhwar would be dipped in ceremonial bath, after which devotees too would follow. At Thiruvallikkeni, is was happening at Kairavini pushkarini….alas, when monsoon failed and thirukulam dried up – it had to be in a big vessel with holy water. 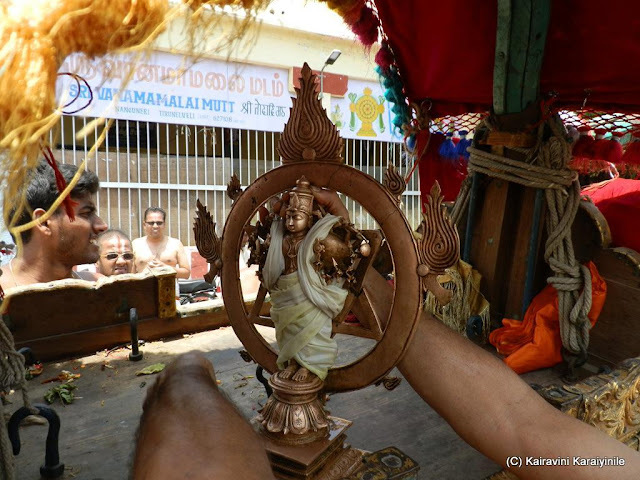 Now there is some water in Thirukulam but that is felt to be not good and hence Chakkarath azhwar theerthavari continues in ‘ gangalam ‘ – the big vessel. July is still different, exceptionally hot – people are sweltering – in such hot Sun at 1 noon – walking on the street itself is arduous. 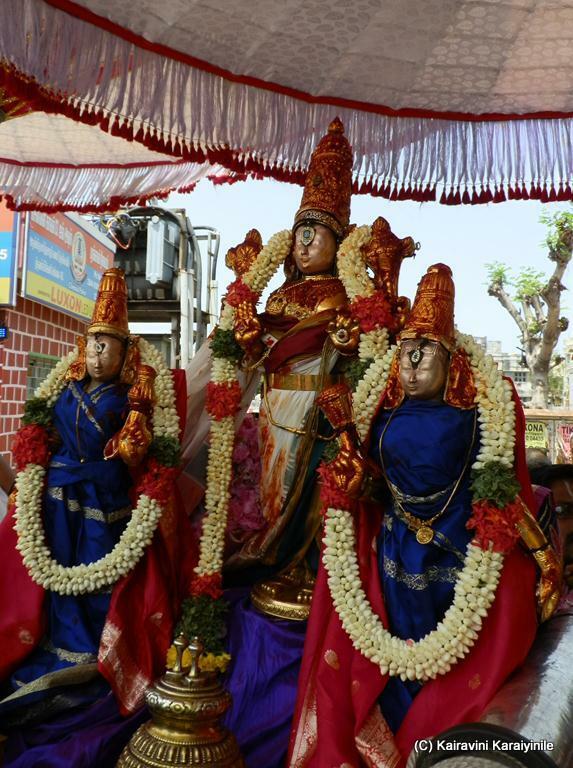 The passion and commitment of Sripadham thangigal makes them walk in the hot sun barefooted carrying the Lord on their shoulders and the Veda goshti with even elderly people follows – divine happenings of Thiruvallikkeni – a darshan to behold. 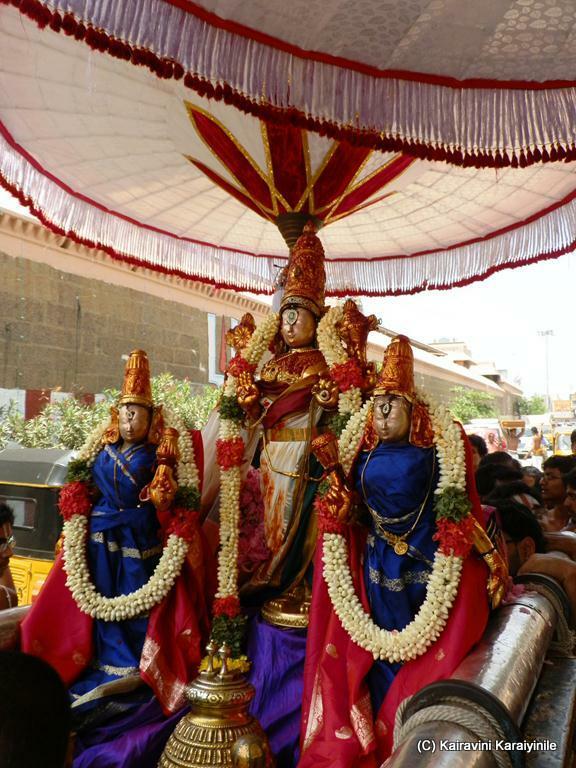 Azhwar Emperumanar Jeeyar Thiruvadigale saranam ! Obeisance to all kainkaryabarars including Battargal, Divyaprabandha Veda goshtigal, Sripadham thangigal.